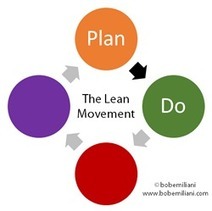 What’s Wrong With the Rote Application of Lean Tools? There is more to playing the piano than practicing scales, but you can’t get there unless you do practice scales. Likewise, there is more to Lean than tools, but you need the tools. They are not sufficient, but they are necessary. Unless you learn them, you are depriving yourself of the benefits of clever tricks, methods, and analytical tools developed over 65 years. Each one doesn’t necessarily take long to learn, but would to reinvent, and you don’t have that time.